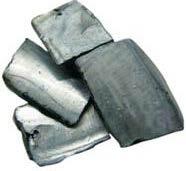 In many applications, it is needed to produce a bimetal with a snap operation with a sudden change of shape at a given temperature. 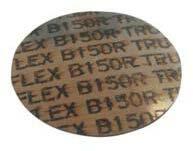 For this, a bimetal disc is bumped and formed into a dome. Temperature changes cause an accumulation of energy therein, which, at a specified temperature, snaps from the concave to the convex shape. A very rigorous selection of the composition, thickness, depths of stamping and heat treatment, is requested to obtaining accurate, stable and repetitive operating temperature. 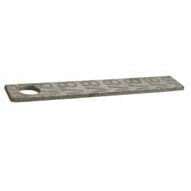 Based on original round form, were developed rectangular shapes, ovals, etc.. The main difficulty is to obtain a small tolerance and a small differential on operating temperature . But these snap action discs are the sensing device of most temperature limiters on the market. The cartridge consists of an outer expandable tube, usually stainless steel, and two non-expandable internal blades, usually Invar. The elongation of the envelope is a function of temperature. For a length of about 100mm, this expansion is 0.0020mm per ° C.
Their principle is similar to cartridges, they are made of one expandable copper alloy blade to which is welded at each of its ends a bow shaped invar blade. 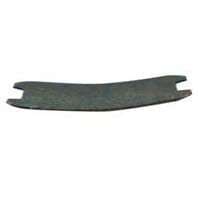 Expansion of the copper alloy blade will tend to reduce the distance between the two blades. The rods are formed of an outer expandable tube in stainless steel, copper or brass, and an inner invar rod. Expansions value are similar as the cartridges. This principle is the basis of most current water heater thermostats. This is a very simple, very reliable, the reaction time is very fast, as it is the outer tube itself that measures the temperature. Through the use of expandable metal instead of Invar, it is possible to obtain devices with anticipative control action, which is very close to proportional action of electronic controllers. Using the same metal for the outer tube and the inner rod provides controls that are only responsive to fast changes in temperature and are used in fire detectors. In very high temperatures, invar rod can be replaced by quartz or alumina. Liquids are incompressible and expand as solids. The expansion forces are very important and will develop considerable power to the mechanisms. The expansion of liquid are used in closed subassemblies named « diastats », they consist of a bulb, a capillary, a bellows or diaphragm. The expansion of the liquid in the bulb is transmitted through the capillary to the diaphragm which inflates and produces movement. Diaphragms expansion ranges are between 0.4 and 0.8mm for the entire measuring range. Bulbs volumes are calculated to provide a specific displacement for a given range. Freezing temperature of the liquid gives the lower limit of use, the upper limit is the boiling temperature. Raising these limits generally cause the destruction of the diastat. The good thermal conductivity of liquids used provides short response time. Mercury was the first liquid used in thermostats. Its first use was the traditional mercury thermometer. Its expansion is almost linear from ambient to 500 ° C.
Metalloids are on the borderline between metals and other materials. In thermostats, are only used sodium and potassium, and especially an eutectic mixture of the two, NaK, which as the interesting characteristic to be liquid in a wide range of temperature, from ambient temperature to over 900°C. It is also an excellent conductor of temperature. These two characteristics have earned him to be selected as a coolant for nuclear plants. For temperature measurement, it also has the advantage of having a linear expansion. Its use in thermostats is relatively recent, and arose with self-cleaning ovens, because it allows devices withstanding high temperatures. However, it must used in protected devices, without contact with air or water, because it is par- ticularly reactive, flammable or explosive in contact with them. 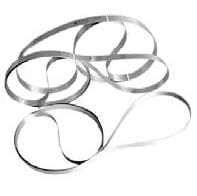 It is also corrosive and requires special stainless steel diastats. Many oils are used. They are always a compromise between a high coefficient of expansion, which allows small bulbs, a boiling point as high as possible, a freezing temperature as low as possible, a good linearity in the range expansion, a good thermal conductivity, and non-toxicity . Among the most common, we must mention the xylols, oils used in heat exchangers, and silicone oils. It is now possible to cover with these 3 types of liquids, ranges from -40 ° C to 400 ° C.
The bulb and capillary thermostats have a closed subassembly called “Diastat”. The bulb (A), which is the reservoir of the largest portion of the liquid, and witch expansion as a function of temperature will be used to measure It is closed at its free end by welding after liquid filling. These three parts are filled with a liquid under The expansion of the liquid, proportional to the temperature increase, causes the displacement “e”, which is used to operate an electrical contact. However, the expansion of the liquid in the capillary (B) and into the bellows (C) is not related to the temperature measured by the sensor (A), but to room temperature in which they are located, and cause therefore a parasite expansion of the liquid and therefore an unwanted mechanical displacement . By limiting the capillary internal The minimum diameter is a compromise between the technological possibilities of embodiment of the capillaries, the stresses due to bending of the capillary, and the water pressure losses permissible depending on the viscosity of the liquid used, and the pressure developed by the expansion. On the bellows: When filling the diastat, the two membranes forming the bellows are pressed against each other, without gap, and thus only a small amount of fluid can go between However the volume of liquid in the bellows increases progressively as the liquid in the bulb (A) expands by the temperature rise. The ratio of the drift therefore not only reports to the initial volume inside the bellow, but increase with the temperatures as this volume increases with the temperature rise on the bulb. The counterpart of this design of the bellows with a small amount of liquid when filling the diastat is that no mechanical movement is possible below this filling temperature. In assembled thermostats, adjusting the set point is not possible below this temperature at which the bellows is empty. This area below the filling temperature is called “dead zone”, and typically corresponds to an area where no temperature is printed on the thermostat knob. The parasite drift of a bulb and capillary thermostat will be given in the data sheet and expressed in ° C / ° C or ° K / ° K.
It depends on the volume ratio between the bulb and capillary + bellows. A large volume bulb is less sensitive to drift, and a short capillary also decreases it. In the case of fixed temperature high limit thermostat, the small bulbs will lead to a high sensitivity to the ambient temperature on the thermostat body. This drift explains that thermostats calibration temperature are given for a body ambient temperature of 23°C+/-2°C (standard ambient condition given by EN60068-1), and usually for an immersed capillary length of 80 to 100 mm. This system involves in diastats a mix of liquid and its saturated vapor , just as in a butane bottle, where are coexisting gas and liquid. In this closed environment, any increase in temperature results in an increase in pressure and significant volume changes. They are used because of their availability, and existing vacuum filling systems for refrigerant circuits. They also work in low temperatures. They are used for the same reasons as above, but have the disadvantage of being flammable. 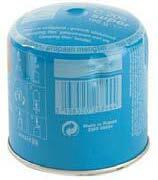 They are used in capillary thermostats and membranes room thermostat. In state change devices, a linear displacement against temperature it not used. What is used is the instant change of volume that appears at specific temperatures at melting, freezing, and boiling points on various elements. 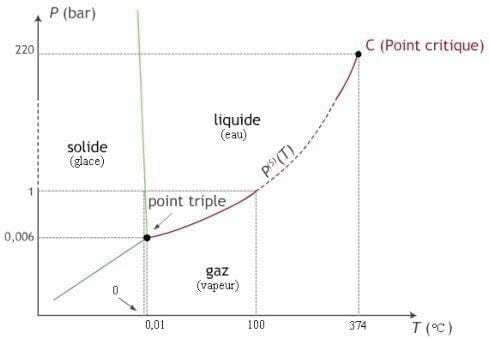 For example, the freezing point of water at 0 ° C causes an increase in volume, melting at 0 ° C causes a reduction in volume, but also the transition from the solid state to the liquid state : when water is boiling at 100 °C steam causes large volume increase. State change systems will therefore use these special properties of a number of elements and compounds. Thermostatic wax is a complex mixture of many components providing a different Melting / Freezing temperature depending on the composition. At this temperature there occurs a high volume change. Waxes have the characteristic increase in volume when they melt. This system, which causes a high displacement, is used for car thermostats, to open the flow path of water. It is also common in central heating radiators thermostat, as well as in mini-jacks locking the doors of ovens, washing machines and other appliances. These fusible alloys are all descendants of those discovered by Darcey at the beginning of the nineteenth century. An alloy of tin, antimony, lead, bismuth and other metals, will have melting temperatures between 25 and 200 °C depending of the percentage of each ingredient. Their first applications were opening the steam pressure locomotive blowdown valve. The melting of the alloy at a predetermined temperature is used to release a mechanical system (fire fusible links) or directly open an electrical circuit (thermal cut-out electrical fuses ). The boiling of a liquid causes, in a closed circuit, a sharp increase in pressure. This increase in pressure may be due to local boiling in a capillary thermostat diastat. This allows to make thermostats sensitive to temperature on a long distance, detecting hot spot at any place on the capillary. Boiling is also used in glass bulbs, which breaks when the liquid inside boils and releases a mechanical or electrical system. The best-known application is the control of the “sprinkler” systems, common in building fire detection. The Curie temperature is the temperature at which a magnet loses its magnetization. This temperature can be changed by altering the composition of the magnetic alloy. This loss of magnetization releases a mechanical or electrical system. This application is limited to a few specific uses, such as rice cookers. This system is mainly used for the production of thermometer, because the available forces are weak and can hardly operate a contact. Is linear expansion and allows a linear scale in a wide range of temperatures. The gases used are mainly helium and argon. Some alloys or compounds, subject to a certain temperature, return to the form they had before their mechanical processing. Heat treatment and composition determine these temperatures.